It’s a sad fact that 4 out of 5 cases of blindness around the world are preventable. What’s more, 90% of the world’s visually impaired live in developing countries. That’s why the International Agency for the Prevention of Blindness runs World Sight Day, an annual global event that raises awareness of these unnecessary and avoidable cases of blindness. 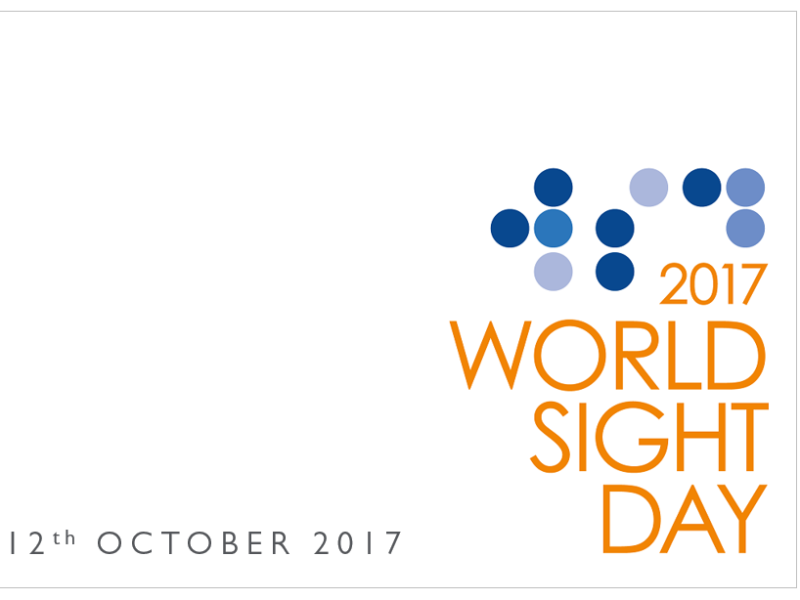 This year, World Sight Day 2017 is being held on 12th October. The campaign to fight the causes of blindness in developing countries is working – the number of cases of infectious diseases causing blindness has dropped significantly in the last 20 years. But more still needs to be done. Across the globe, around 4% of the entire global population has some level of blindness. Of these, about 39 million are fully blind and 246 million have severe or moderate visual impairment. Cataracts are a normal, age-related change to the eyes which cause one or both lenses in the eye to become cloudy, obscuring vision. Symptoms include blurred vision, halos and experience glare when looking at bright lights. Cataracts can be removed via surgery, yet they are the world’s leading cause of blindness. The condition is accelerated by exposure to UV light, so it’s important to keep your eye protected from harmful rays all year round. Glaucoma can cause loss of vision stemming from problems with the optic nerve. It can be almost symptom-free, leading to its moniker ‘the silent thief of sight’ – but it can be treated using eye drops, laser treatment or surgery. A gradual worsening of sight, affecting the centre of the sufferer’s vision. It is a degenerative disease of the macular, the central part of the retina. AMD comes in two forms, dry AMD and Wet AMD. Dry AMD is not treatable, but can potentially be slowed down or even prevented with good nutrition, not smoking and using UV protection. Dry AMD is generally slow to develop and vision disruption less severe on average. Wet AMD occurs in around 10% of AMD cases, usually noticed by a sudden and very significant loss of vision. Wet AMD can be treated with drugs. If you wear glasses or contact lenses, it’s because your eye is not focusing on the correct distance – The rays of light entering the eye are not focusing on the retina. Glasses and other optical aids correct this, helping you see properly. But, of course, you need access to modern healthcare facilities in order to be measured and fitted with glasses. Many of these conditions is either preventable or treatable. The only barriers are awareness and access to healthcare professionals. World Sight Day hopes to improve both, with a real emphasis on increasing understanding of these major sight problems. We’re lucky that in the UK we have easy access to healthcare. Make World Sight Day count this month – make sure you get your eyes tested, or better still, encourage someone that you know hasn’t had their eyes tested for some time to book a sight test. You could be saving someone’s vision. Take a look at your own family, especially those most at-risk, such as children, the elderly, and those with diabetes. Should they get their eyes checked to potentially spot a minor issue before it becomes more serious? Contact Leightons on 0800 40 20 20, or book online.